ConceptDraw DIAGRAM is a best business processes modeling software for graphical documenting processes of the company. 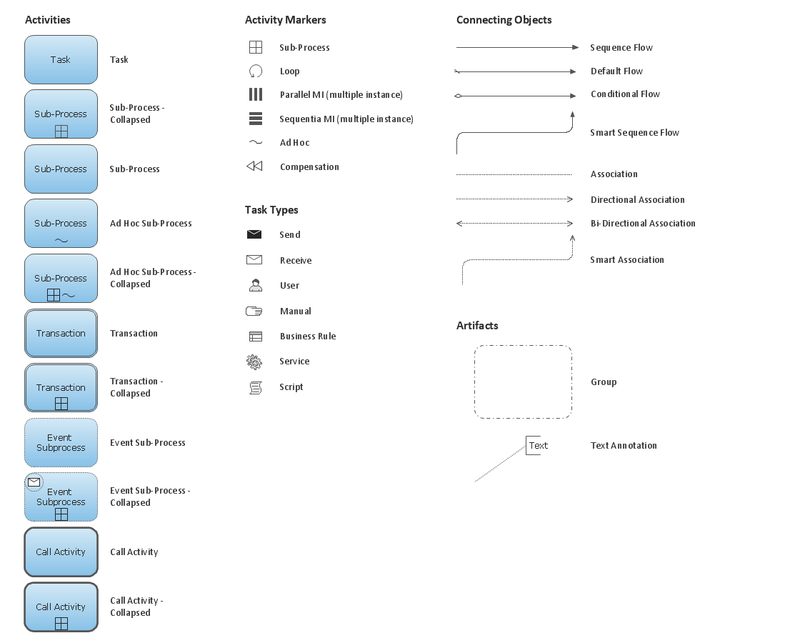 The Business Process Diagram solution contains pre-designed libraries and templates based on the BPMN 2.0 standard that allows to create of both simple and complex (nested) models of processes. These process diagrams can then be printed or converted to a web-page, PDF or PowerPoint presentation. A conversation diagram is a particular usage of and an informal description of a collaboration diagram. 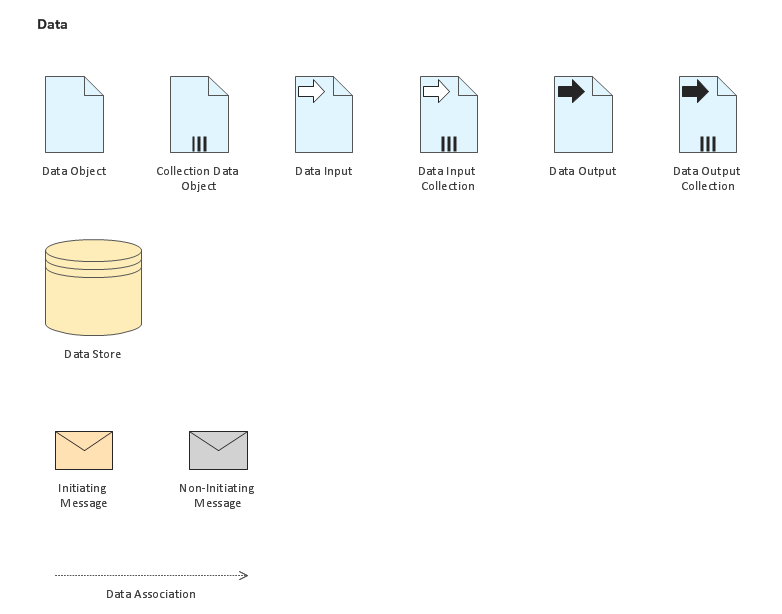 A conversation depicts the logical relation of message exchanges between the participants (pools) and allows the modeler to group collaboration interactions between two or more participants which together achieve a common goal. The EPC diagram shows various business processes in terms of work flows. 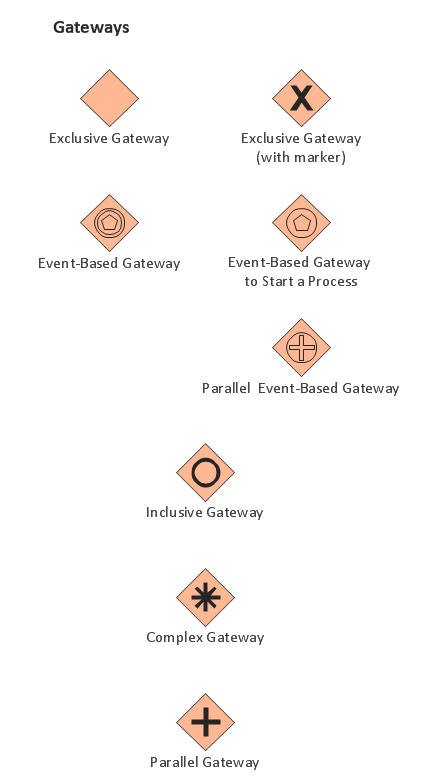 Event-Driven Process chain Diagrams for improvement throughout an organisation. 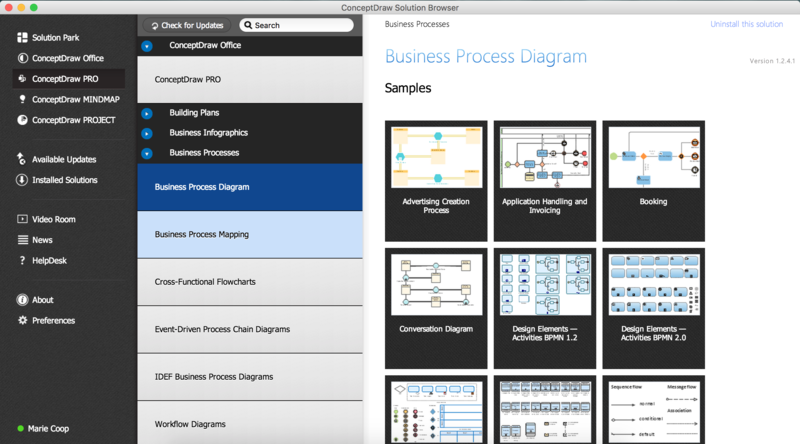 ConceptDraw DIAGRAM v12 - software that reduces the time needed to create a business process model and is great business process improvement tools. ConceptDraw DIAGRAM v12 diagramming and vector drawing software offers the Business Process Diagram Solution from the Business Processes Area of ConceptDraw Solution Park with powerful tools to help you easy represent the business processes and create the business process diagrams based on BPMN 2.0 standard. When thinking about data visualization, one of the first tools that comes to mind is a flowchart design. You can find flowchart symbols, shapes, stencils and icons easily on the Internet, but it might take time to systematize this information. Nevertheless, once you start flowcharting, you’ll love its simplicity and efficiency. 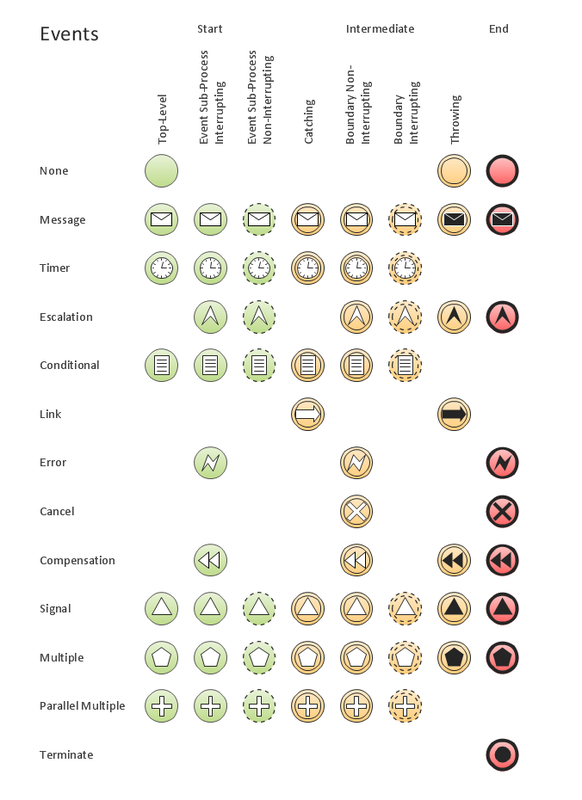 This diagram consists from standard flowchart symbols, approved by ANSI (American National Standard Institute) for drawing flowcharts. A flowchart is a diagram that represents a step-by-step algorithm of any process, displaying the process stages as boxes that are connected with arrows. 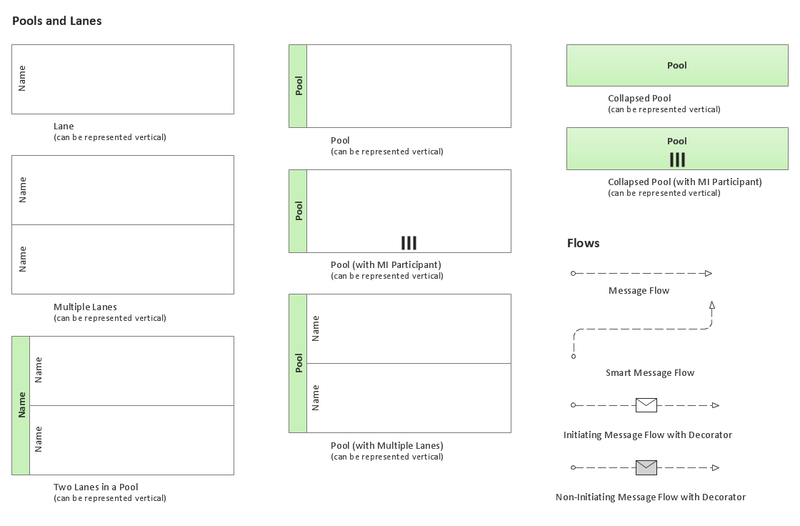 Flowchart design makes it clear and readable. 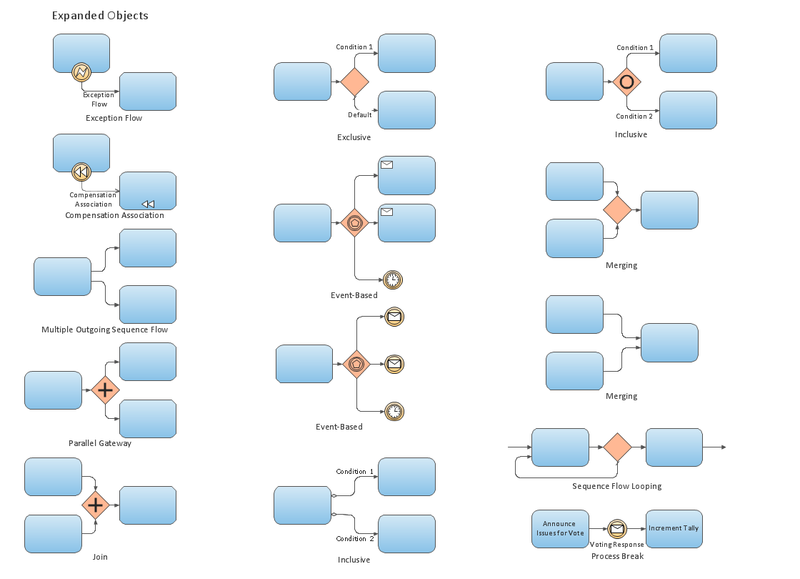 Flowchart designed using ConceptDraw DIAGRAM v12 flowchart software allows to make attractive and clear process presentation, it makes interpretation of the business process flow fresh and versatile. Great flowchart design view is a big advantage over the diagram created manually on a paper. 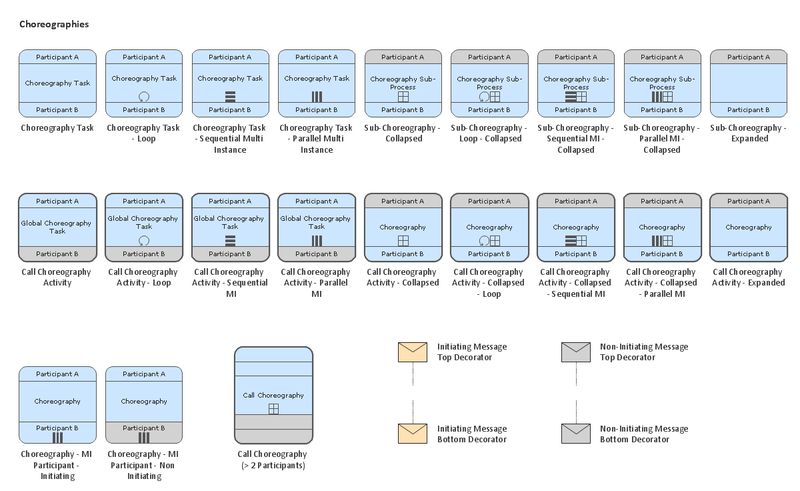 The excellent possibility to create attractive Cross Functional Flowcharts for step-by-step visualization the operations of a business process flow of any degree of detailing is offered by ConceptDraw’s Cross-Functional Flowcharts solution. The extensive selection of commonly used vector cross functional flowchart symbols allow you to demonstrate the document flow in organization, to represent each team member’s responsibilities and how processes get shared or transferred between different teams and departments. You need to draw professional looking BPMN diagrams quick and easy? 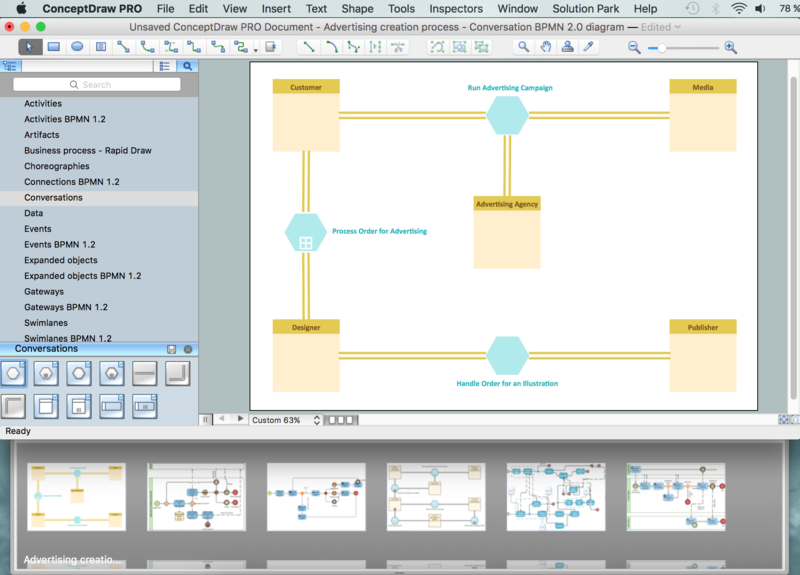 Pay please your attention on ConceptDraw DIAGRAM v12 diagramming and vector drawing software. Extended with Business Process Diagram Solution from the Business Processes Area it will be ideal for your.